Small Incline 24" x 48" x 14". 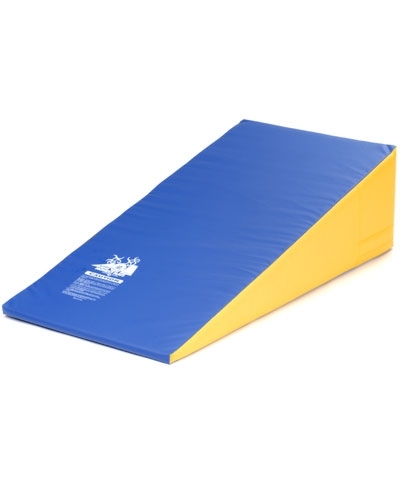 Perfect for preschool and developmental gymnastics or home use. Covered in random multi colored 18 oz coated fabric and prime high density polyurethane. Add $70.00 for ground shipping.